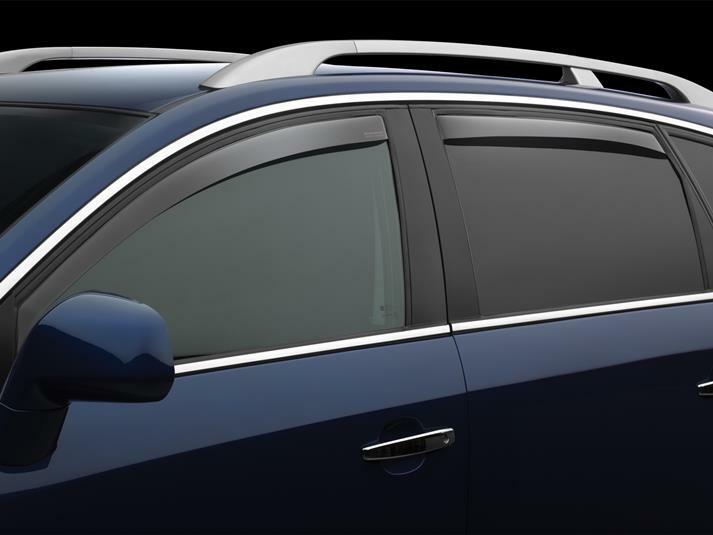 WeatherTech Side Window Deflectors are precision-machined to perfectly fit your 2001 Mercury Villager's window channel. These low profile window deflectors help to reduce wind noise and allow interior heat to escape. Our light tinted Side Window Deflectors are the only deflectors in the world made with a D.O.T. (U.S. Department of Transportation) approved glazing material. Available in light and dark tint for most vehicles. Designed and Engineered in USA – Handcrafted in Germany. Just received my Side Window Deflectors for my 2000 Villager and the install was so simple and fast. I also have them on my 2000 Jeep Grand Cherokee and they were also easy to install. Thanks for a great product at an affordable price. Next month I will order the stone and bug deflector for the Villager. A very satisfied repeat customer! !